President Donald Trump made a big mistake when he said “rogue killers” could be responsible for a Saudi journalist’s mysterious disappearance, according to Trevor Noah. “How does Trump always find a way to introduce random suspects into the most obvious crimes?” Noah asked on “The Daily Show” Tuesday. “No matter how good a lie sounds, I don’t think people can accept it when they know it’s a lie. “I’m not a detective, but come on … it seems pretty obvious what happened here,” he added. This video grab made on Oct. 10, 2018, from CCTV footage obtained from Turkish news agency DHA, shows Saudi journalist Jamal Khashoggi, right, arriving at the Saudi Arabian consulate in Istanbul on Oct. 2, 2018. 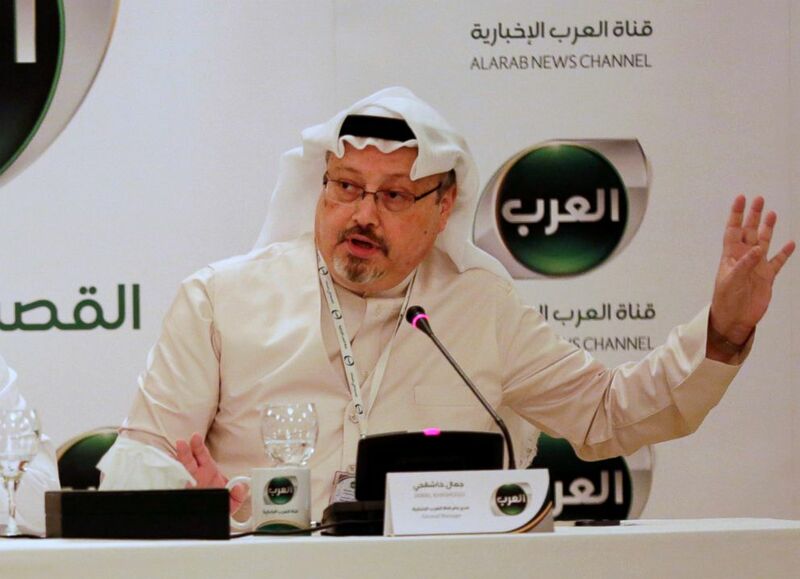 Trump signaled that he believed Saudi Arabia‘s ruthless crown prince on Tuesday when he denied responsibility for the presumed death of Washington Post columnist Jamal Khashoggi, who disappeared after visiting the Saudi consulate in Istanbul earlier this month. Noah said he was suspicious after hearing Trump’s comments, noting the country’s history of extreme violence. “For years, they have been known as the super-conservative country where women can’t drive, gay people get flogged and thieves have their hands chopped off,” Noah said. “Saudi Arabia literally has a sword on the flag, so you know. “They’re owning [it]. That’s like if the NFL made its logo a sad brain. In a way, you respect them for their honesty,” he added.